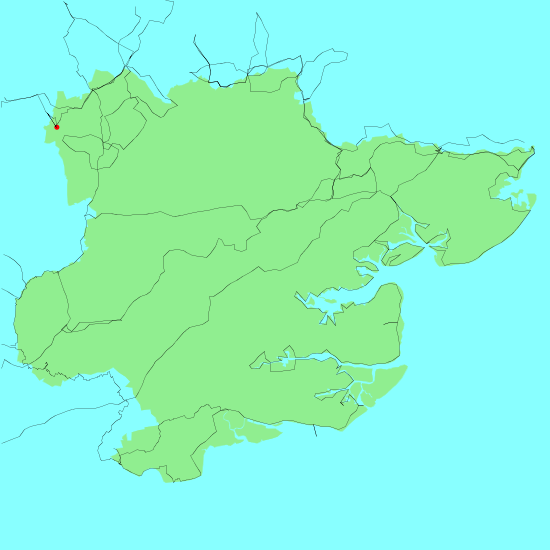 Essex is the southern county in East Anglia, and has a border with London. The county has a long coastline, and also shares a boundary with the Thames. Chelmsford is the county town, and there are many other sizeable settlements, and is England's most populous county. Despite this, there are some fine walks to be had in the county. The Essex coastline tends to be characterised by river inlets and marshland, and these lead to some superb walks. The Essex Way, an 81-mile long distance path, starts at Epping and ends at Harwich. Below is a map showing all the walks that I have completed in Essex. This was a total of 1013 miles in 54 walks (an average of 18.75 miles per walk).